One colour, even if it a subtle or muted tone, can make a big statement in a room. This peach bed cover is a simple addition which brings fun and life into an otherwise plain and traditional bedroom. 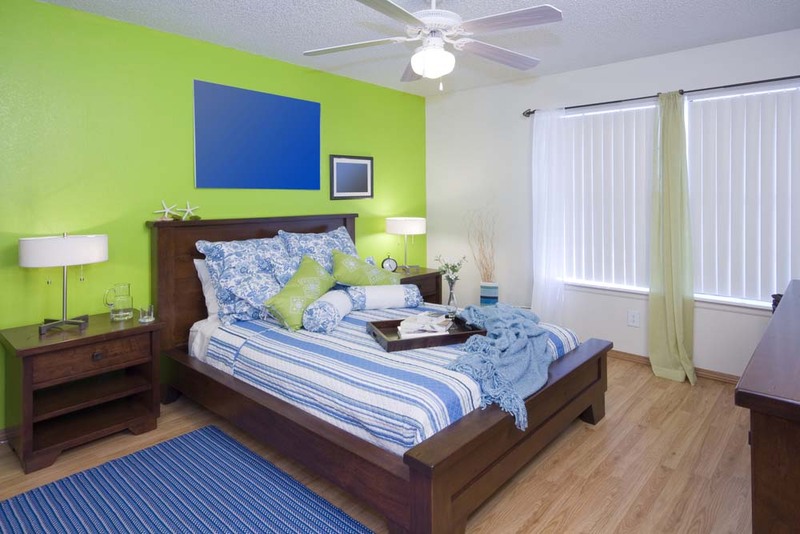 Lime is an unusual colour for a bedroom. It’s such a bright and out-there colour that choosing it as a feature colour says a lot about your personality. While lime is fun and funky, it can also be classy and gorgeous. 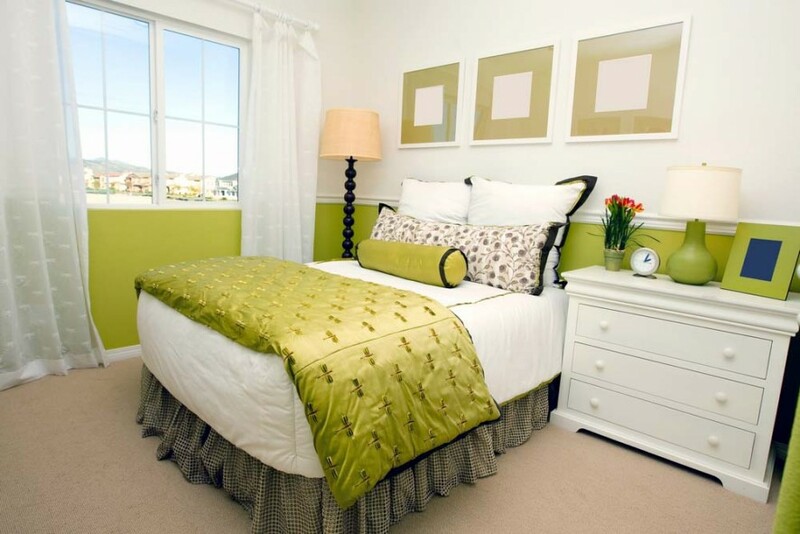 Stick with colour accents against a soft and stylish backdrop for the perfect lime bedroom. 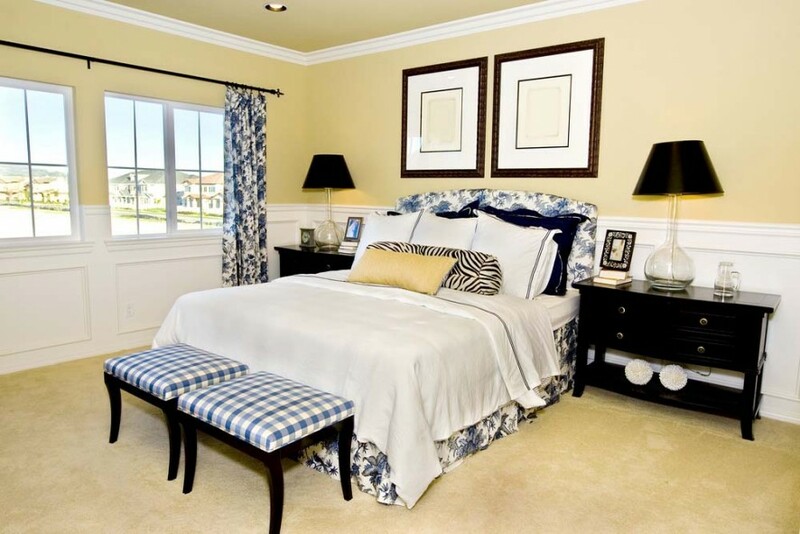 Blue is a common bedroom theme for its calming and dynamic properties. It’s relaxing, but it’s also easy to work with and inoffensive. This blue and white bedroom shows us how we can use blues from across the colour spectrum, from pale to navy, to create a deeper blue colour palette that is more interesting and unique. 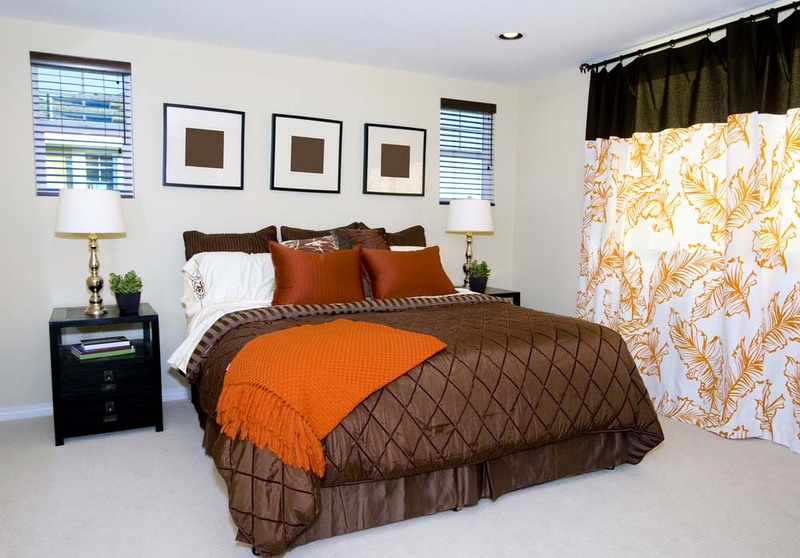 This unique blend of chocolate brown with orange accents used to decorate the bed, and main feature of the room, add warmth, comfort, and passion to the bed as a feature – the most important requirements of an adult bedroom. If you’re going for a traditionally beautiful bedroom, don’t be afraid to let a little bit of your wilder personality show through. 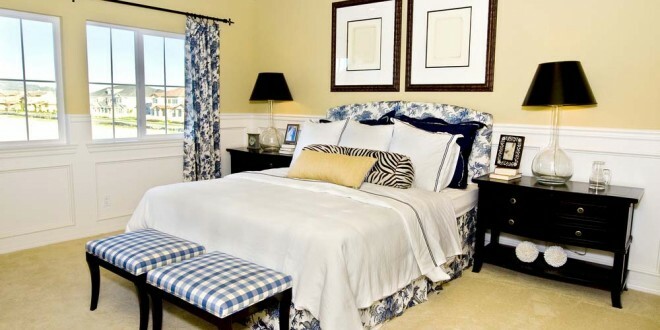 This subtle zebra print cushion brings fun to this bedroom, but it doesn’t upset the room’s colour palette at all. 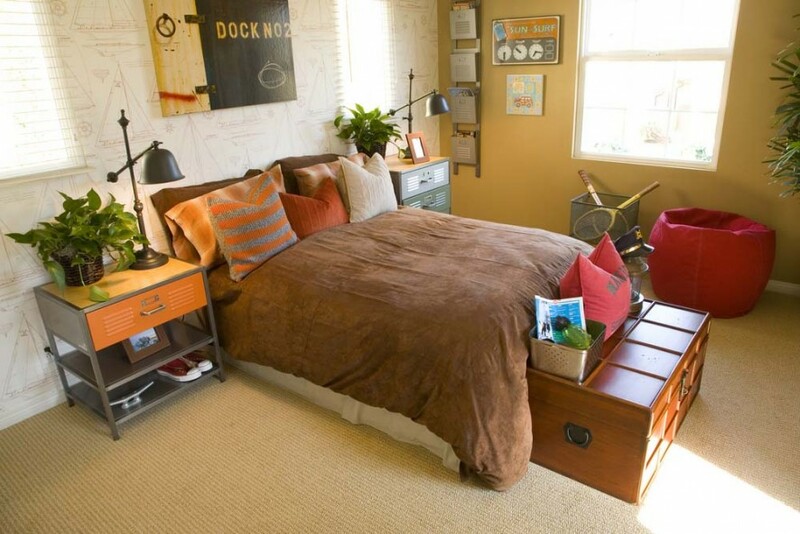 We’ve seen a lot of red bedrooms, and it’s easy to understand why. Passion, fire, intensity, boldness.  These are all qualities that belong in the bedroom. But we also want our bedrooms to be a luxury haven for us to escape to. 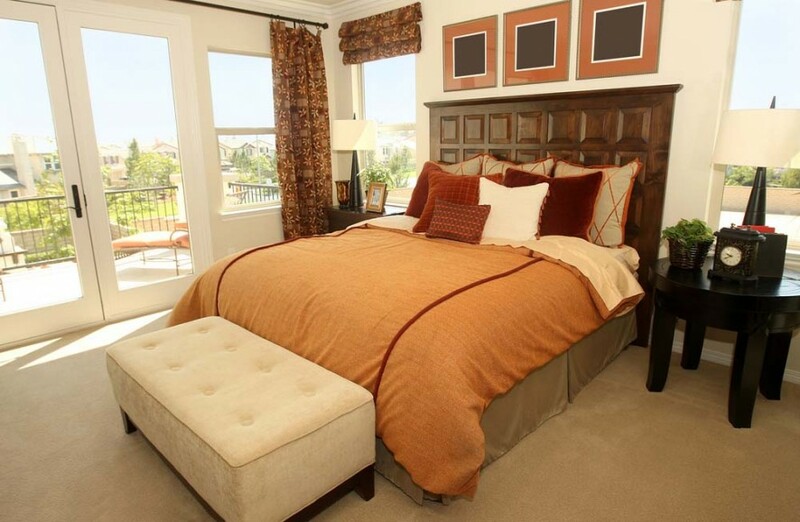 In this bedroom, the mix of red and gold has a very elegant and charming appeal that’s almost royalty. The richness of the colours being used together brings that into the room. Monochrome is a fascinating colour palette. It can be plain, minimal, and shallow, or like this one it can be elaborate, intense, and deep. 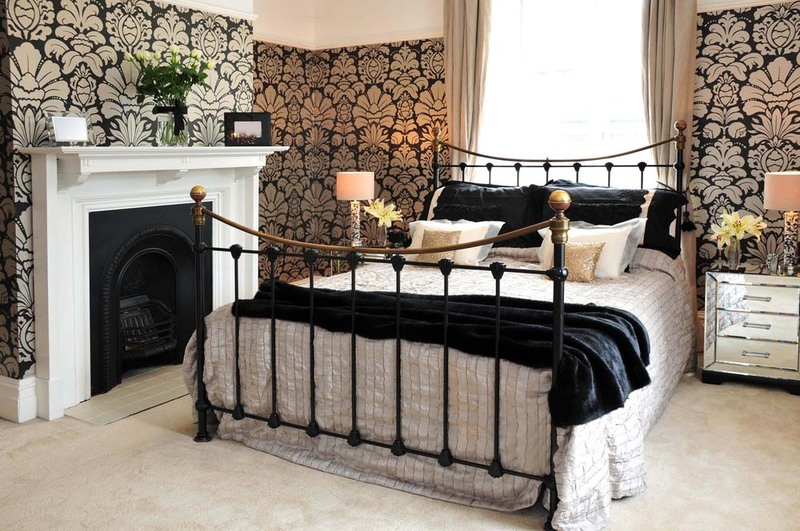 Using lots of varying textures and bold but intricate patterns has made this black and white bedroom into something fun and unique. The furniture on this bedroom has all the makings of a modern, contemporary and minimalistic one. But the bold and warm colour palette, plus the complex and mismatched patterns, give this room a charm of its own and has created a modern, warming, and surrounding bedroom that is far from plain. Using bold green and blue together is a colour palette you might first associate with a young child’s bedroom, but this charming and fun bedroom is proof of the opposite. Stripes, dark wooden furniture and lots of softening white colours turn this room into one that is charming, entertaining, and one of a kind. This dark bedroom has a hint of oriental style. Lots of dark furniture that is sleek, smooth and reflective, sits in the background of a few golden feature pieces that add a sense of richness and luxury to the room. 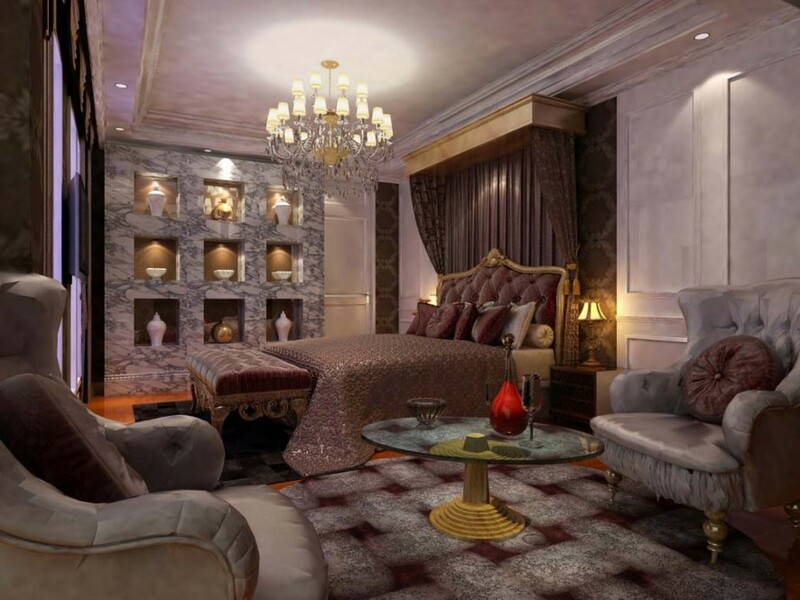 This plush and luxurious bedroom has earned those adjectives from its use of ornate furniture, plenty of smooth textures, metallic accents, and mood lighting. Consider yourself one with nature? Make sure you don’t miss it by using garden tones and textures in your bedroom and really letting your personality and interests shine. Exposed walls, lots of natural light and suede look soft furnishings make this simple bedroom one full of complex and charming texture and colour. Greyscale is a modern, mature, and sleek colour palette that acts as a great backdrop to showcase personality. 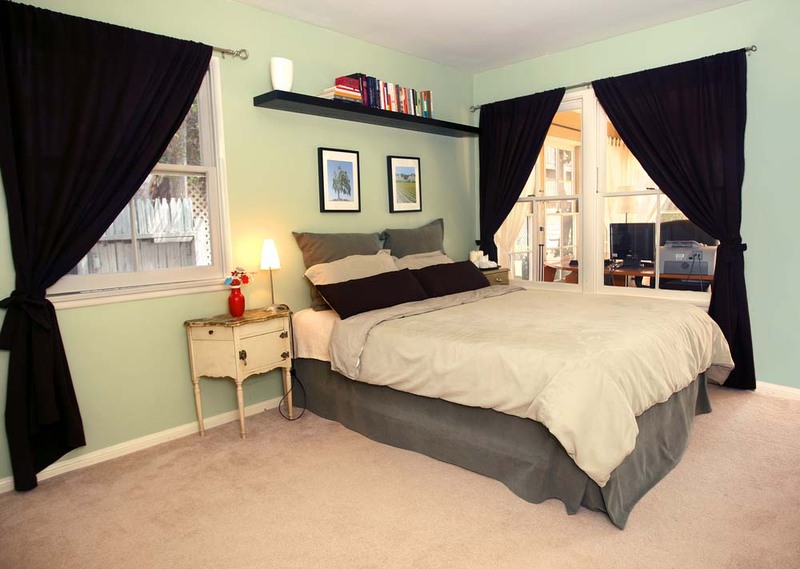 The most subtle pale green background in this greyscale bedroom adds instant personality, coolness, and charm.